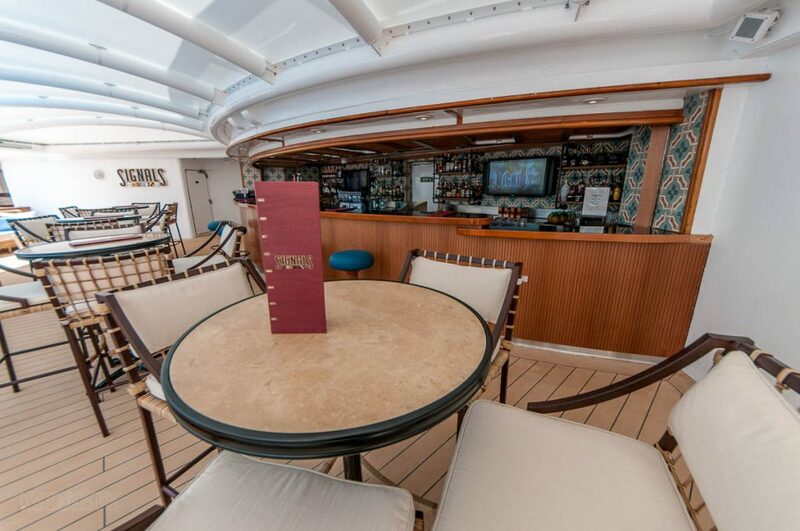 During the Disney Magic’s 2018 two week dry dock, the Quiet Cove area received some attention with a long overdue refurbishment of Signals bar. Signals received the a similar tropical theme as we saw in the adjacent Cove Cafe. Below is a video walkthrough of the all new Signals bar located in the adults only, Quiet Cove area aboard the Disney Magic. 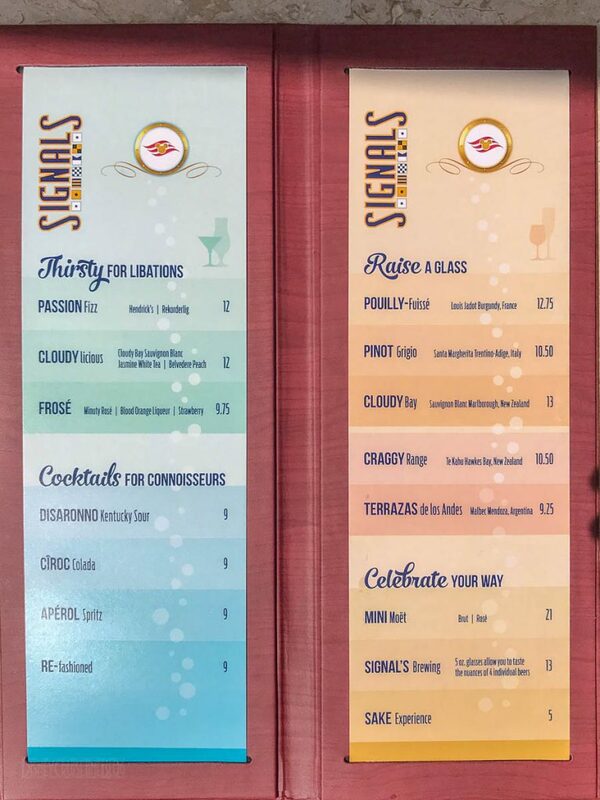 I was really impressed by the Signals bar remodel, it was long overdue update. 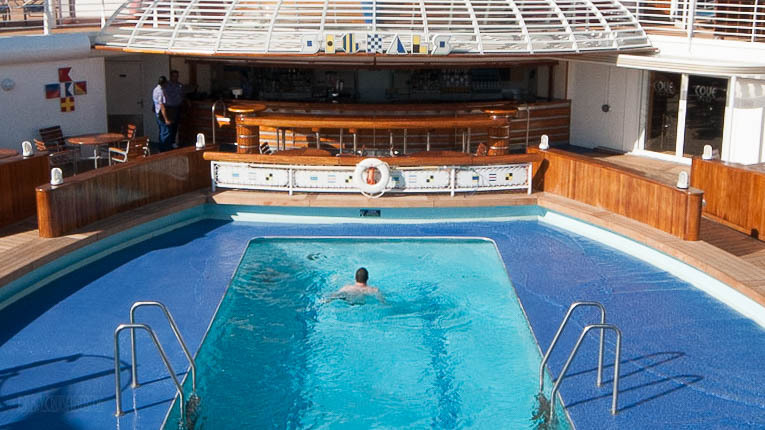 One that I was really surprised was untouched in the 2013 re-imagination of the Disney Magic. 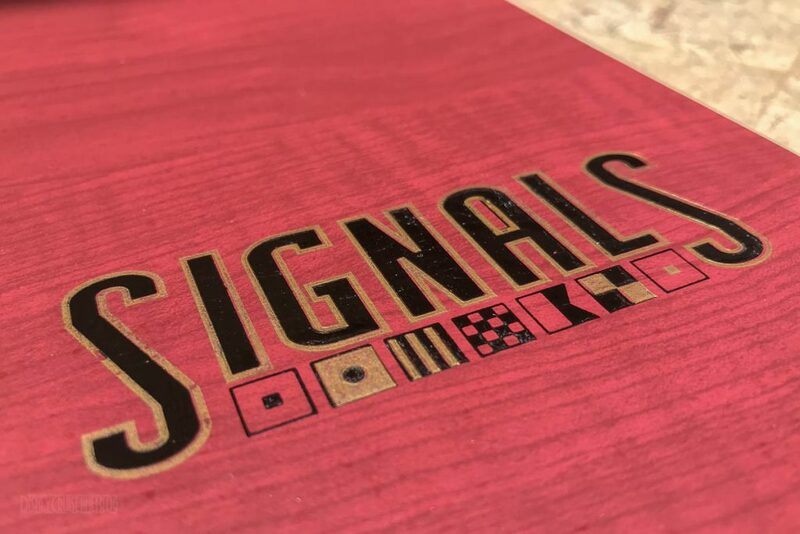 Although they are are no longer directly connected via a sliding door, Signals goes really well with the Cove Cafe remodel. Between the two spaces, I think Signals bar was the real winner. 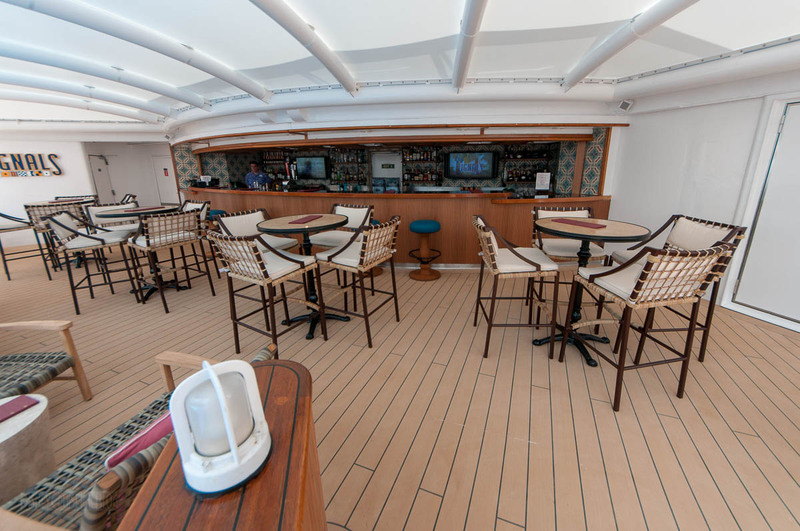 For comparison, here is a look at Signals from 2013 showing the old entrance to the Cove Cafe and a more view of Signals from 2016 following the addition of the concierge lounge. 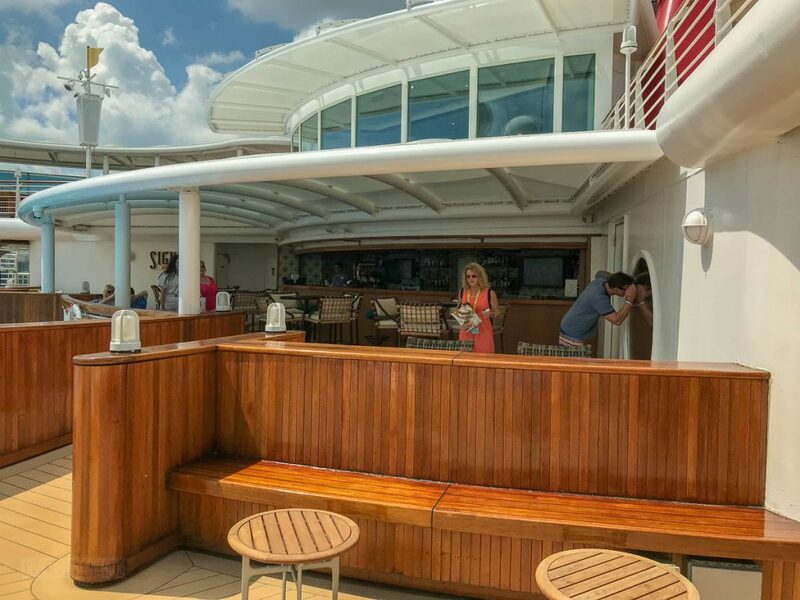 The added seating and shaded area is both welcome welcome upgrades. It was also nice to see a new menu. 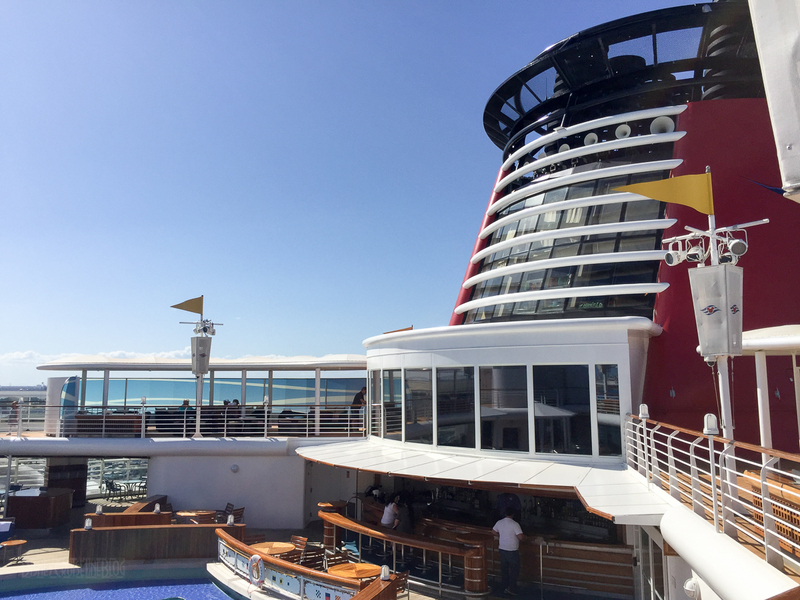 This entry was posted in Dry Dock, Video and tagged Disney Magic, Signals Bar by Scott Sanders. Bookmark the permalink. Scott – What beers were offered for that flight? Craft brews? Thanks for showing the before and after. It really helps to show the differences.